I am not going to point fingers, but I've asked some of the top nail art salons in NYC for mirror nails over the past six months — and no one will give them to me! Pros at these spots told me the reflective powder topcoat chips easily, so they had to stop offering it. Customers complained. 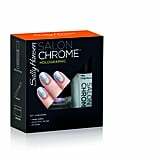 So when I heard Sally Hansen was launching four Chrome DIY nail art kits featuring a similar look, I was pumped. I could get my futuristic manicure easily and at home, goddammit. It seemed too good to be true. And after seeing the Chrome nail look applied IRL at an editor's preview, I can confirm these sets are as cool as they sound. 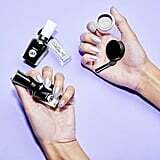 "The chrome trend was first seen on social media and has since exploded but was previously only achieved with UV light and a lengthy and costly application process," Kristi Sloe, VP of global product development at Sally Hansen, told POPSUGAR. 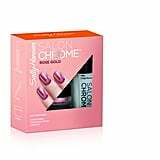 "Salon Chrome democratizes the trend so that the at-home consumer can achieve the same look themselves and have fun doing it." 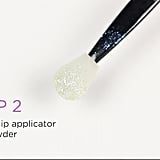 The colored Chrome kits (Rose Gold, Peacock, Gunmetal, and Mermaid) are each $20 and come with the shimmery colored powder, a powder applicator, and a clear coat that seals in the chrome. That said, you need to supply your own base nail polish color and topcoat. These will be available at Target and Target.com, where Sally Hansen products are sold. 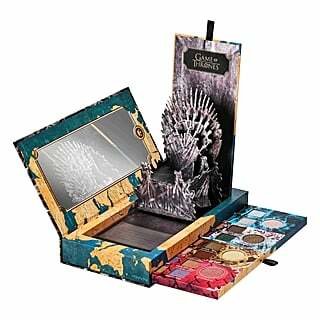 Ulta store and Ulta.com are getting an exclusive kit, the Holographic one. 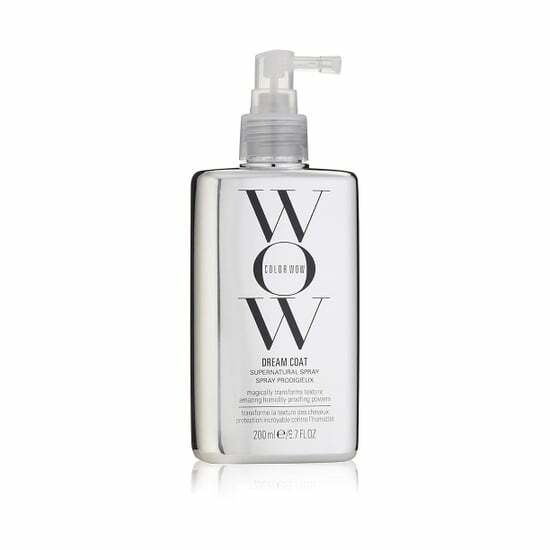 It is $30 and also comes with the Sally Hansen Miracle Gel polish in Black-y O and the Miracle Gel topcoat. 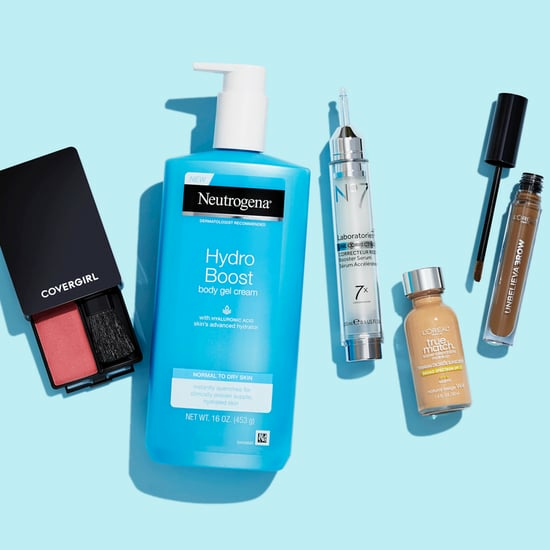 Everything drops Target mid-August and at Ulta on October 1. "I really love Sally Hansen Salon Chrome in Mermaid and Peacock," said Madeline Poole, a Sally Hansen ambassador and top nail artist. "These more jewel-toned blue and green shades have the most impactful chrome effect. They also pick up really well on camera!" While the Chrome kits are fairly easy to use — and you can see for yourself ahead in our exclusive video featuring Hannah Lee — Madeline has some advice. 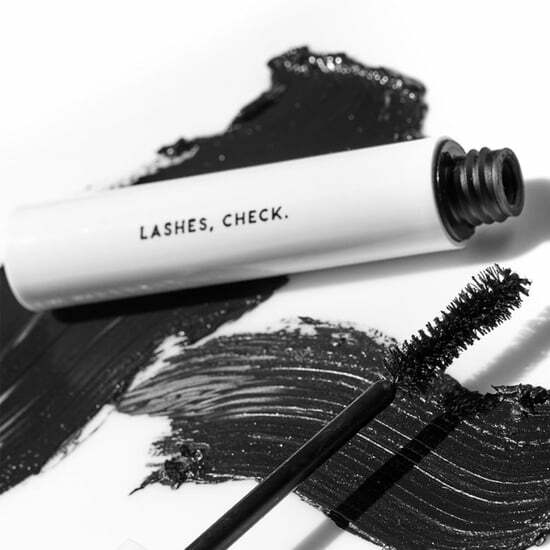 "It's important to use light pressure when buffing the powder into the nail," she explained. "You want to begin when the base color is still slightly tacky, but as a precaution gently buff so as not to dent the surface of the polish." And if you desire to create chic nail art, Madeline suggests marking off half the nail with tape before painting. This will create a negative-space look. 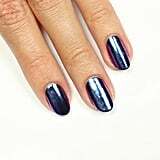 "Place a piece of masking tape across the width of your nail and then paint the tip of the nail following the Salon Chrome process," she noted. 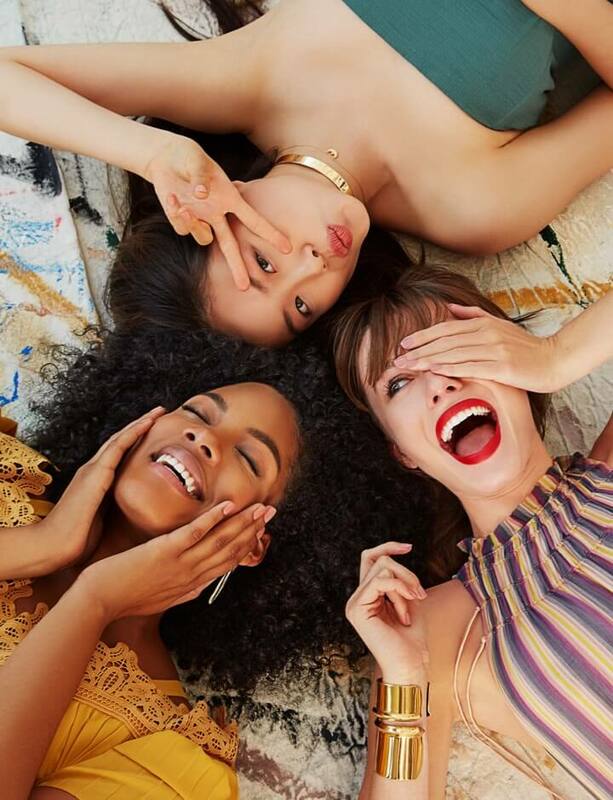 Luckily, we have a sneak peek at every color plus an exclusive video from a nail blogger on how to use them.